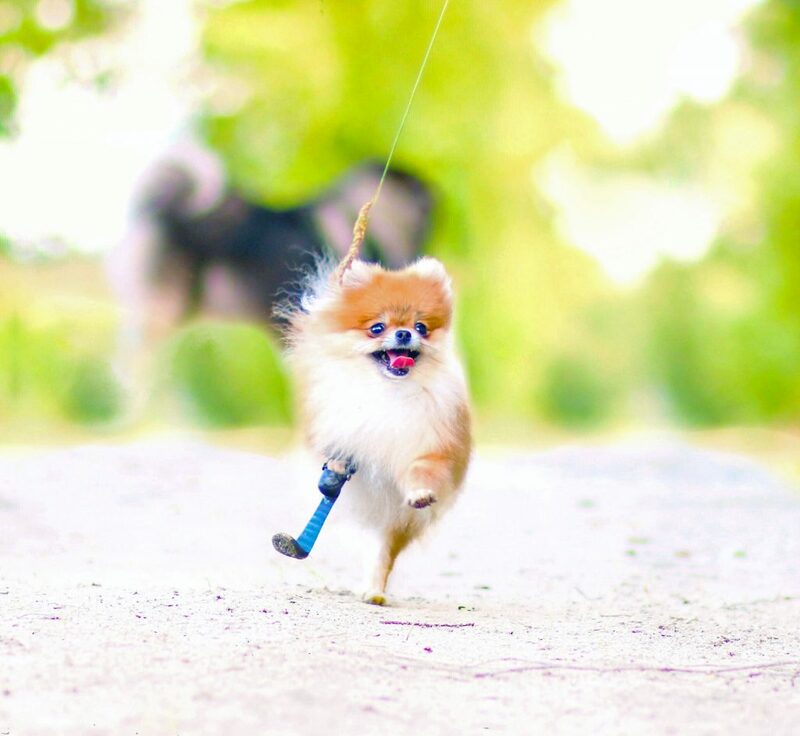 An adorable amputee dog has become an online sensation as one of the happiest dogs on the internet as she showcases her running blade prosthetic. 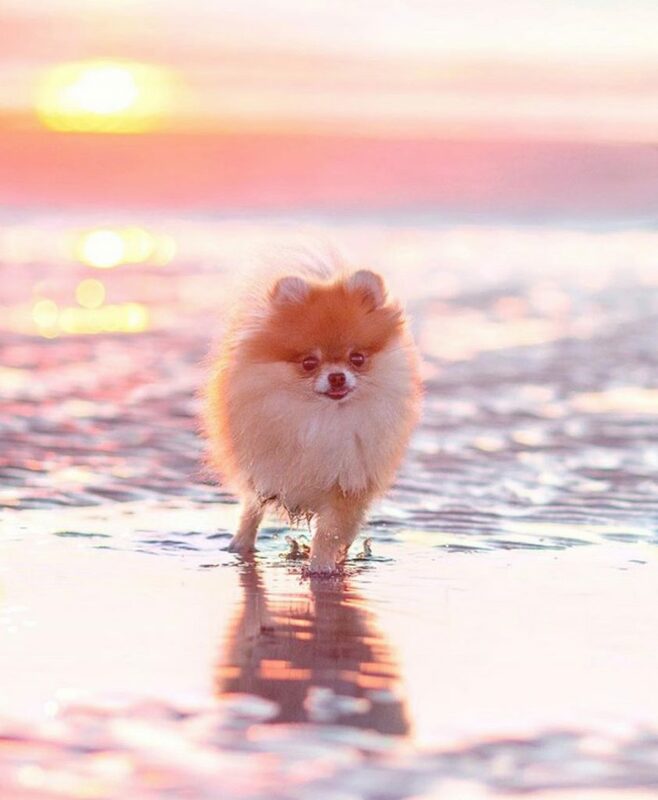 Miniature Minzi, the three-year-old Pomeranian, from Oldenburg, Germany, shows that despite having three legs she will not be slowed down. 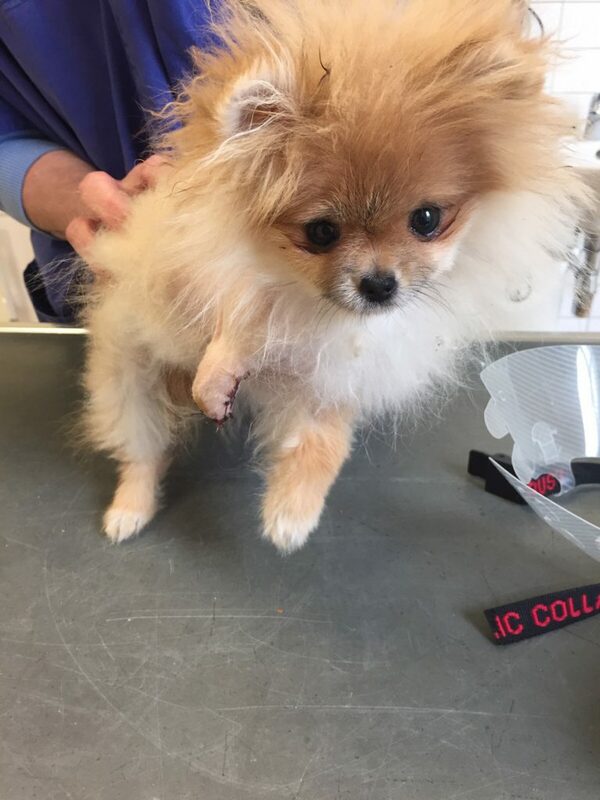 She broke her leg as her puppy and despite surgery to insert a metal plate and screws, her little leg couldn’t be saved. She was four-and-a-half-months-old when vets told parents Sandra and Andre, 24 and 25, that she needed an amputation after blood stopped flowing to the leg and it was declared ‘dead’. They feared she wouldn’t be able to cope with adapting to her new life, with Sandra ‘crying for weeks’ over the news. But to their surprise, Minzi bounced back and seemed ‘happier than ever’ – appearing to not even notice her missing limb. 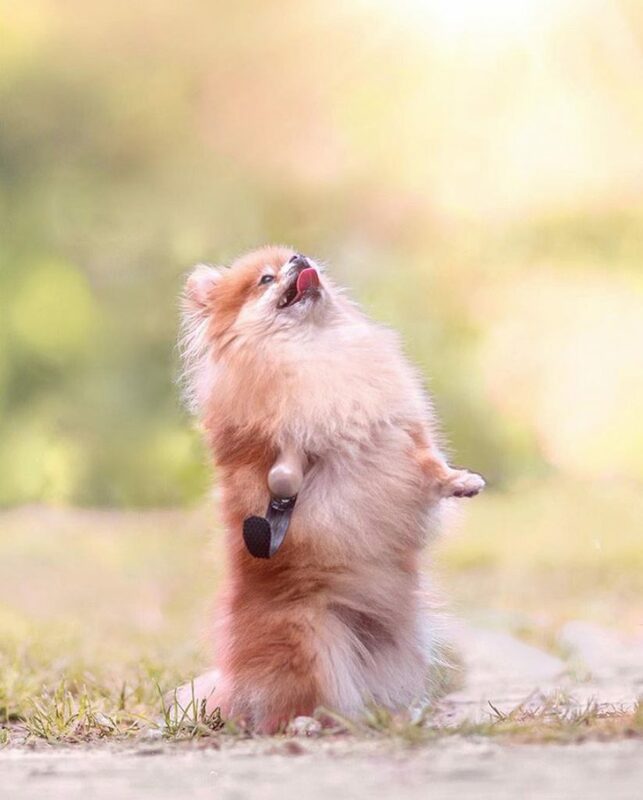 They created a social media page for their puny pup, who weighs less than a can of soup at a tiny 2.8lb, and has attracted over 112,000 followers. Sandra Drolshagen, who’s studying a PHD in Robotics said: “The blood wasn’t flowing in her leg any more, the tissue in her leg died and had to be amputated immediately. “It was very sad. I was pretty much crying for weeks because it was so hard to hear. “Andre was strong and told me it would be fine, and when we got her back she was just as happy before. “She did very well, she came home with three legs and started playing, running and didn’t really seem to notice she was missing a leg. “She was just as strong and happy as before, which we didn’t expect. “We want to show people that a dog with three legs doesn’t have restrictions and they can do whatever they want. “She is an inspiration, we get messages from people missing a limb and in wheelchairs, saying they want to be as strong as Minzi. 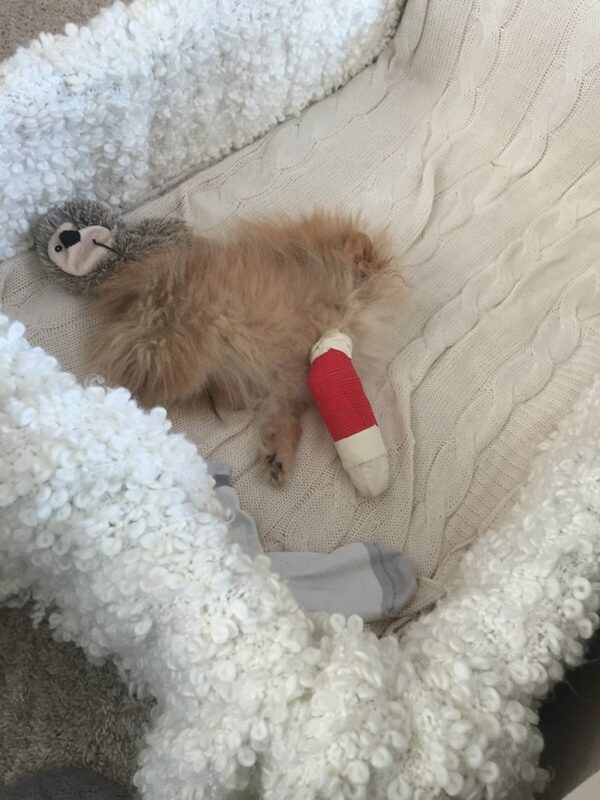 “Some owners put their dog to sleep if they lose a leg as many people don’t know about prosthetics for pets. 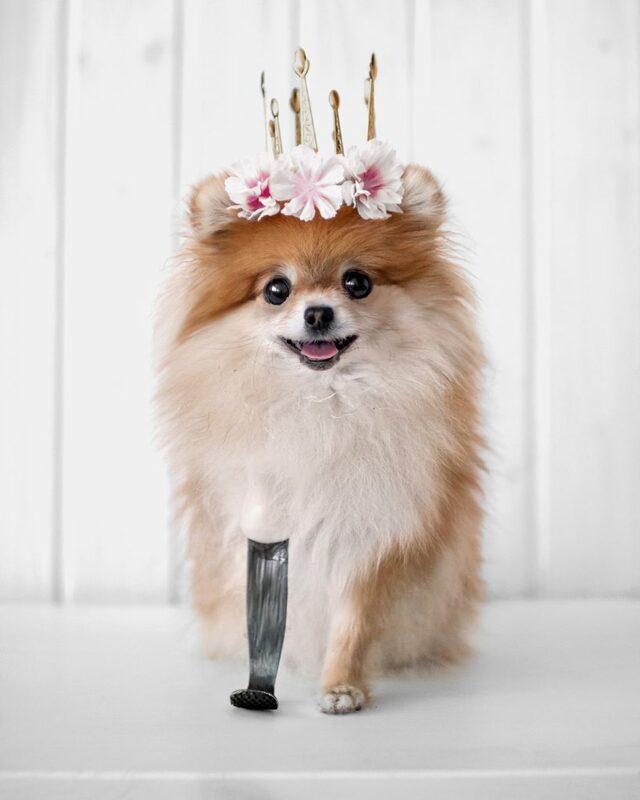 This year Minzi was fitted with her own custom prosthetic made by the couple who worked with an orthopediatrician to produce a fake limb of their own. Inspired by running blades used by Paralympians, it took 18 months to design, develop and create. Sandra said: “We had her first prosthetic after her leg was taken-off, but it didn’t fit at all and we went through more than three others. “Then I made one with a 3D printer myself to get it right, which is when we sorted the shape and size. “We designed this new prosthetic to help her jump, it’s made out of carbon which is rare to have for a dog prosthetic. It’s hoped it will help to reduce the strain and damage caused to Minzi’s spine through missing a limb. Andre Padecken, a student, said: “All of her muscle disappeared, so we have been trying to build them back up again by practicing with her prosthetic a couple of times a day. “We use the prosthetic to help her posture and prevent her back problems from worsening. “She already has problems and at times doesn’t want to move at all, so we got to a physiotherapist. 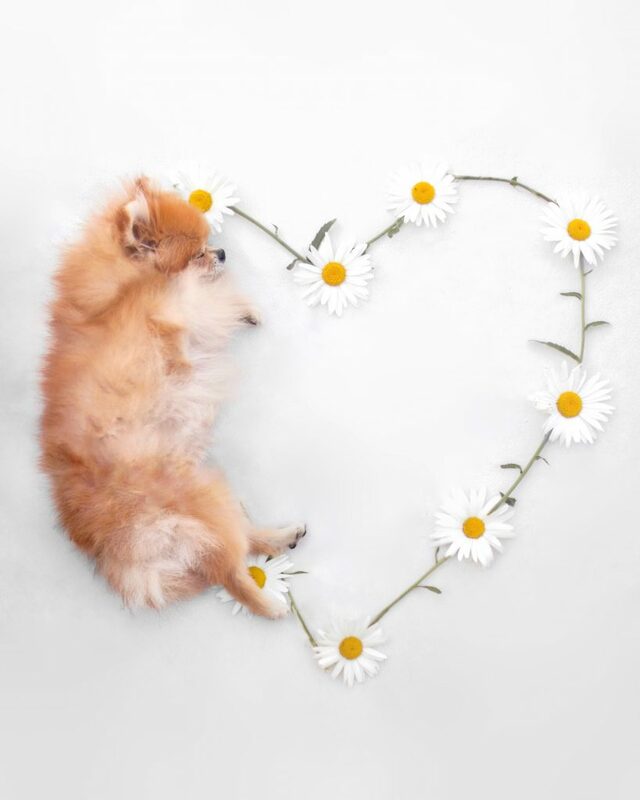 The couple who also have two other Pomeranians Monty, 3, and Lia, 4, as well as Keeshonds Aisha, 11, and Cora, 14, maintain they only photograph them when the dogs want to. Andre said: “When they walk away from the camera or we see they don’t want to have pictures taken we stop immediately.